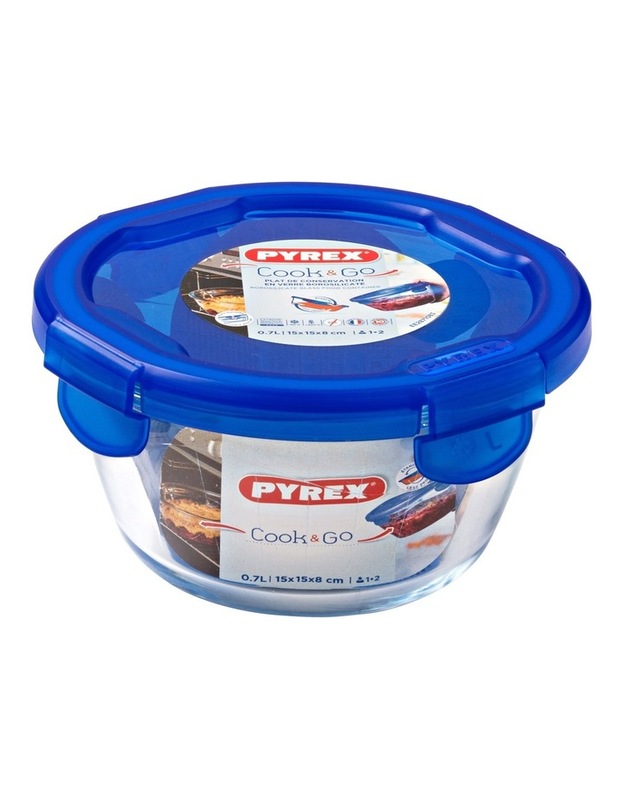 The Cook & Go small square dish is the latest glass storage solution from Pyrex. Designed especially for advanced meal preparation and batch cooking making them perfect for everything from work lunches to post-workout meals. Featuring an air-tight lid, to ensure safe, mess-free transportation and storage. 0.8L square glass dish Made from Borosilicate glass: oven resistant upto 300C. 0.7L round glass dish Made from Borosilicate glass: oven resistant upto 300C Suitable for microwave, oven, fridge and freezer Easy dishwasher cleaning Scratch and stain resistant Airtight and leakproof 4 flap lid Writing zone on lid allows you to mark your containers with a pencil. Made in France. Microwave/Oven/dishwasher safe.